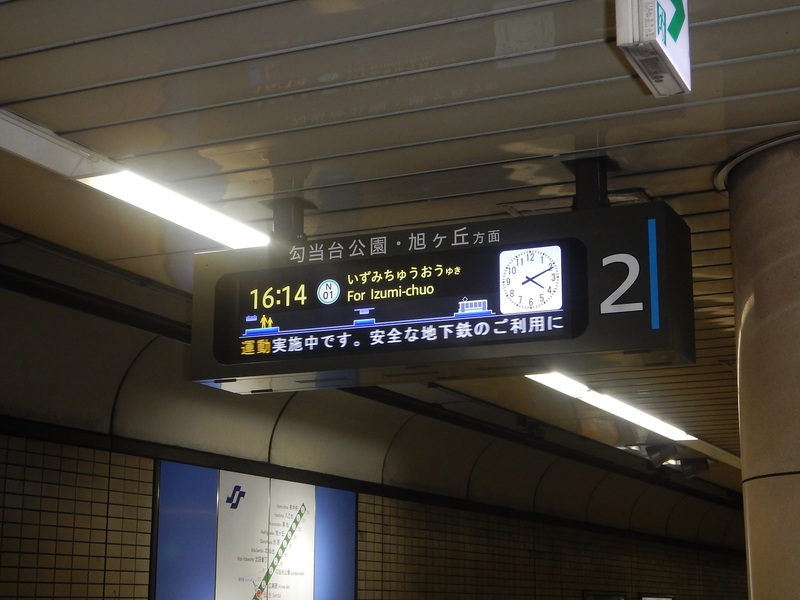 Subway entrances have the subway logo, station names and station numbers displayed. Please purchase tickets at the ticket vending machines. The vending machines sell regular tickets, One-day Passes, icsca (new cards (excluding child and welfare discount cards)), icsca commuter passes (new adult commuter passes and renewed commuter passes (with some exceptions)). You can also charge your icsca and print out the usage history of the card. All tickets on the subway are read via the automatic ticket gate. Please enter using the ticket, icsca or other IC card that you have purchased. On the Namboku Line, trains heading for Tomizawa stop at Platform 1, while trains heading for Izumi-chuo stop at Platform 2. On the Tozai Line, trains heading for Arai stop at Platform 1, while trains heading for Yagiyama Zoological Park stop at Platform 2. At the transfer hub in Sendai Station, trains heading for Arai stop at Platform 3, while trains heading for Yagiyama Zoological Park stop at Platform 4. (1) Please make sure there is plenty of space between you and the opening of the Automatic Platform Gate. (2) Do not lean on the Automatic Platform Gate. (3) Do not lean over the Automatic Platform Gate or stand objects against the gate. 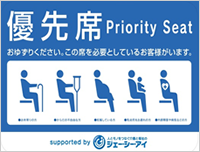 When boarding trains, please give priority to passengers who are getting off the train. Please don't run to catch your train because it is very dangerous. If you give up your seat to physically challenged, elderly persons, or those in need you can make the train have a kind and harmonious atmosphere. When the train is crowded, we ask that you turn off your mobile phone around the priority seats. 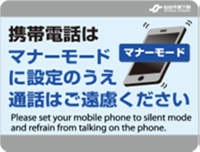 In other areas of the train, please set your phone to manner mode and refrain from making telephone calls. Please also refrain from eating and drinking onboard trains. Please check the directions of the exit signs as you leave. You can also utilize the elevators or escalators. Walking on the escalators is very dangerous. Please hold onto the handrail and stand as you ride the escalators. If you have any difficulties, please ask at the station office next to the ticket gates. 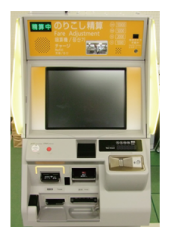 Charge or insert the fare balance (10 yen units) in the adjustment machine, and then pass through the ticket gate using your IC card. 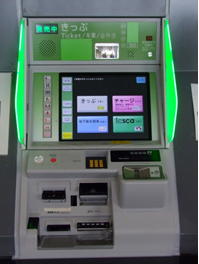 Insert your ticket into the adjustment machine and adjust your fare by following the displayed screens. Pass through the automatic ticket gate using the adjustment ticket you got from the adjustment machine. 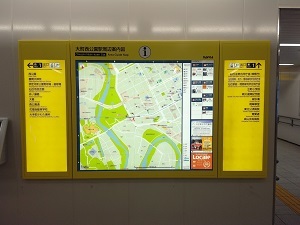 Information maps are displayed close to the ticket gates. Once you have confirmed your direction on the map, follow the exit signs. In the event of disaster, please follow the instructions of staff and calmly evacuate the train or station. Smoking is prohibited in stations and onboard trains. © Sendai City Transportation Bureau.